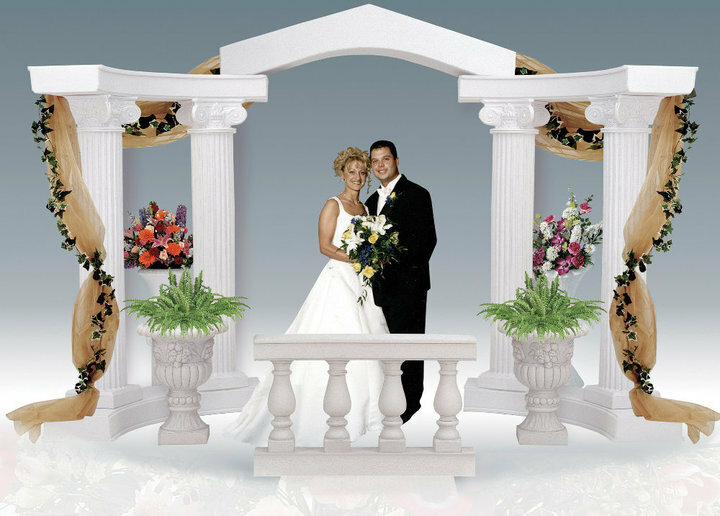 Wedding columns and colonnades are a great way to enhance the visual appeal of your church, reception hall or other venue. The decisions you make when setting up the display will have a powerful impact on how the event looks to guests, so make sure you are doing it the right way to avoid a décor faux pas! Find an area that has enough room for your columns and colonnade. This may require measuring floor space and ceiling height before you choose your event accessories. Also remember to look around the area for anything that may detract from the display or anything that could be a hazard. For example, never block a doorway or a fire alarm. If a window is nearby, make sure the light will complement the display rather than ruin it when the photographer snaps pictures. 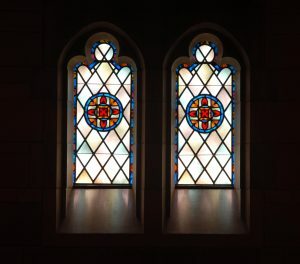 This is especially important if the window faces the sun during the hours of your event. Not only can it ruin pictures, but it can also blind guests and cause them to look away. Wedding columns and colonnades look great on their own, but they look even better with a few personal touches. You don’t have to go overboard. Usually some fabric or tulle and a few flowers will do the trick. Create a symmetrical design that pleases the eye. That may mean having a larger arrangement positioned at the top and center with smaller arrangements along the sides. You can also experiment by draping long, wispy fabric along the outside or down the middle. When choosing accents for your wedding colonnades and columns, remember to stick with lightweight objects. If something is too heavy, it could compromise the balance of the display. This type of accessory is very safe and stable when used properly. Also avoid using a lot of excessively heavy fabrics. Light and airy materials usually look the best and sit comfortably on each column and colonnade piece.